What kind of mortgage can Chinese foreign international buyers have to buy NYC condos? Many of our buyers are Chinese foreign international buyers from Asia (Hong Kong, Taiwan, Mainland China, Singapore and other countries). Many Chinese buyers decide to buy so they have a place to stay when they come visit New York city, owning a condo is much comfortable instead of staying at different hotels. For many of our Chinese Foreign International buyers, it is a good way for these buyers to diversify their assets and investments by purchasing a Manhattan New York condo. Our Chinese buyers rely on our expertise in finding them the perfect New York city investment. Status and/or Visa do they have any work visa or residence status in US? Or if they are true foreigner without any US credit history or records. Down payment amount: there are few bank will have some lending program for foreigners that do not have any United States Credit history, though the bank will likely to require a higher down payment of 40% up to 60% on case by case scenarios. Prior relationship with the bank, many of our Chinese buyers have prior relationship with different banks, if the bank has an office in New York, it may be possible for the buyer to obtain mortgage if there are other investments with this bank. Please note that we are NOT mortgage professionals, we are experienced Chinese Speaking Real Estate agents that specialized in Chinese and foreign international buyers, we work with a team of mortgage professionals that specialize in foreign international lending. Majority of our Chinese Foreign International buyers decide to find financing in their home country once they learn about all the lending criteria and requirements set by U.S. banks. The main reason being all the extensive paperwork and documentation required, hefty fees and mortgage closing cost if buyer decides to obtain US financing. Chinese Foreign International home country lending process may be more streamlined and less costly. If you are a Chinese and/or foreign international buyer looking to purchase a NYC condo email us (https://chinesespeakingagent.com/contact/). We can discuss in details of your options and best way to find the right investment for you. This entry was posted in Central Park - Upper West Side, Fifth Avenue - Midtown East, Financial District - Lower Manhattan, Manhattan NY Neighborhoods and tagged Chinese Agent, Chinese Real Estate Agent, Foreign buyer, International Buyer on March 15, 2013 by eileenhsu. Your very own private pool from your Manhattan Penthouse Condominium. A private pool, not just an outdoor shower or Hot Tub is the epitome of rarity and luxury for a Manhattan penthouse condominium. Many of Manhattan New York buildings will have a pool as part of the amenity package, these pools are exclusive to the building residents, however your very own private pool is extremely rare. 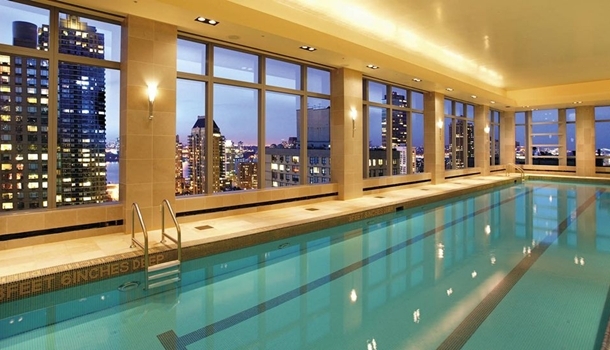 In Manhattan New York, there are very few condominium with their own private pool, usually less than a hand full. Even then it’s not a guarantee that there will be an apartment with its own private pool. If you are looking for a private pool as an absolute necessity, you will be either looking at a penthouse condominium or also a townhouse property. There are more townhouse residences that have built in pools in the lower levels of the building than there are penthouse condominiums with roof top pools. Manhattan NY Penthouses with a private pool starts in the $15,000,000 range. We have full access to Manhattan New York Penthouse availabilities. Our team are experienced and knowlegable in Manhattan New York Real Estate market. Many of Eileen’s past clients work with her and her team because of our aggressive approach in searching for their one of the kind unique Manhattan penthouse. They are also very satisfied with our detail oriented service faciliating every step of the way to ensure a smooth purchase for these very busy and important penthouse buyers. Eileen Hsu is also a bi-lingual Chinese and English speaking Real Estate agent that have worked with many top Asian CEO and business executives in finding their Manhattan New York Penthouses, often they used the New York Penthouses as their vacation home or a future investment when their young children decide to go to School or Universities in New York. Penthouses with a pool is hard to come by, to be on the VIP list on the first notification basis on the penthouse you wish to purchase, call Eileen Hsu and her team today at 646 644 6929 or email us (https://chinesespeakingagent.com/contact/) . This entry was posted in Central Park - Upper West Side, Fifth Avenue - Midtown East and tagged Chinese Real Estate Agent, Chinese Speaking Agent, International Buyer, Manhattan Condo Tours on April 3, 2012 by eileenhsu. Manhattan New York Real Estate market is an unique market place, we work with many out of town and international buyers who brings their own ideas and previous experiences of Real Estate transaction into this market place and realize that there is a different way to complete a Real Estate transaction in Manhattan New York. Working with us, we will educate you not only the market, we will also educate you through out the entire Manhattan New York condo buying process. Unlike other parts of the country or world, when a buyer makes an offer on a property here in New York, the offer is made through us, the Real Estate agents and the buyers do not sign any contracts or purchase agreement when making an offer. Real Estate professionals DO NOT WRITE the contracts here in Manhattan New York. Title companies DO-NOT schedule the closings here either. Manhattan New York is an Real Estate attorney state, therefore all closing arrangements are done through Manhattan New York certified Real Estate attorneys. Both buyer and seller will each need an attorney to represent each party. We work with experienced Real Estate attorneys that we will able to recommend you one that best suited for your purchase. Proof of funds: if it is all cash, a bank or stock statement demonstrate that there is enough cash to make the purchase (ideally a United States bank or stock statement). If it is financing contingent, pre-approval from a United State bank is a must. Any contingencies: in Manhattan New York, the common contingencies includes financing contingency to ensure bank will lend, funding contingency to ensure bank will fund(wire money) the transaction, and other sale contingency; if there any prior sale need to happen in order to make the new purchase. Manhattan New York Real Estate market usually do not have ‘INSPECTION’ period especially in Manhattan New York market place, most are condominiums or cooperative structure, inspection is often for Townhouses or single houses only, therefore, there is usually NO INSPECTION contingent as other parts of the country. Manhattan New York condominiums are purchased AS IS. Closing date: This will depend on if you are buying a new condo or a resale condo. If it is a new condominium buying from sponsor, and the condo is ready, the closing date can be as soon as one to two weeks. If it is a new condominium and the construction is still on the way, then this time frame varies. If it is a resale condominium, if the owner is ready to move, and the transaction is all cash, then the time frame can be 45 days as soon as condo board approves the condo application. If financing for a resale condo, this time frame can be 60-90 days or more. Personal Financial statement: This is sometimes required depending on the property (or if cooperative) and if there are other multiple bidding scenario. The personal financial statement includes all assets disclosure such as bank statements, 401K, retirement funds, other owned real estate, other mortgage or liabilities and etc. Full disclosure is a must if it is a Manhattan New York cooperative disclosure. Once the offer is verbally accepted by the owner (seller), then we will have to provide a Real Estate attorney information immediately to start the contract. We work with a team of experienced Real Estate attorneys that we will able to recommend you one that best suited for your purchase. Who can fix my Manhattan New York condo if something breaks? What is a Sales Application in buying Manhattan New York condos? Are Manhattan New York Condos pet friendly? Does Manhattan New York condos have garage? What is included in my Manhattan New York Condo Common Charge? Who can help me manage my Manhattan New York condo? If you or someone you know would like to buy a condo in Manhattan New York condominiums, please call us directly today at (646)644-6929 or contact us (https://chinesespeakingagent.com/contact/). We specialize in Manhattan New York condominium market and have experiences selling Manhattan New York condos in different neighborhoods, we offer confidential consultation customize to your specific investment needs. This entry was posted in Financial District - Lower Manhattan and tagged Chinese Real Estate Agent, Chinese Speaking Real Estate agent, Foreign buyer, International Buyer, Manhattan Condo Tours on July 10, 2011 by eileenhsu. Where Foreign International Investors Want to Buy? 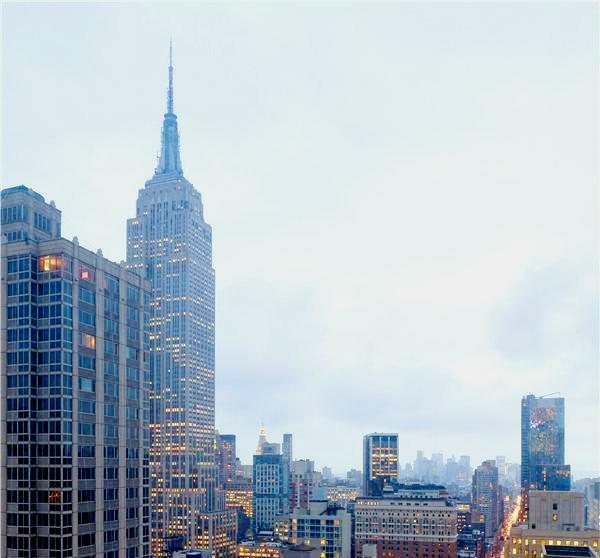 New York is expected to be the favorite city for foreign real estate investments in the U.S. and globally in 2011, according to an annual survey of members of the Association of Foreign Investors in Real Estate. Washington, D.C., came in No. 2 both within the U.S. and global markets for cities where foreign investors most want to invest in the new year. More than 72 percent of the association members say they plan to invest more money in U.S. real estate this year than in 2010. Can Foreign international buyer buy a Manhattan NYC condo? This entry was posted in Manhattan NY Neighborhoods and tagged Chinese Real Estate Agent, Foreign buyer, International Buyer on January 16, 2011 by eileenhsu. Many of our foreign buyers are parents of International students from Europe, Asia, Canada, Latin America and other countries. Other than many career and investment opportunities, Manhattan New York has many distinguish universities and colleges that offers many international students undergraduate and graduate degrees. We helped many parents of international students from New York university, Parsons school of Art and Design, School of Visual Arts (SVA), Columbia University, the Jillard school, Cooper Union and other academic institutions. School dormitory: If the student is very young and new to New York, the first year or first 6 months they usually stay in the dormitory so they can familiarize themselves with the city. This option is usually more expensive than renting an non-dorm apartment in the school surrounding areas. Renting an non-dorm apartment: This option costs slightly less than dormitory, although as an International student or foreigner, majority landlords requires extra security deposit sometimes up to 6 months of rent upfront to 12 months rent to establish relationship and security. If the student or parents do not have United States social security number, nor US credit history, the parents usually have to pay for one year upfront to obtain an rental apartment. Buying a Manhattan New York condo or building: This is often the option for most of the international parents chose. In today’s market, there are well priced Manhattan New York condos for international students and parents to choose from. The important thing is to establish the location, the price range and the time frame to maximize the Manhattan New York condo search. 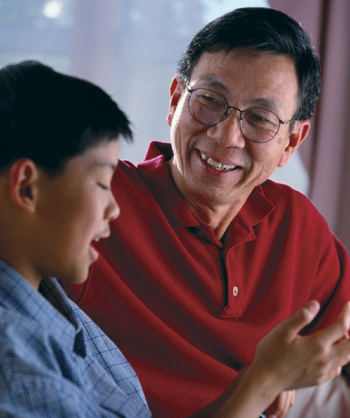 Call us directly at (646)644-6929 to discuss your specific purchase as an international student or parents. Mortgage consultant: If you are planning to buy the condo all cash, that is always desirable when presenting offers to condo sellers. Keep in mind that you should have enough equity in case there is an increase in monthly carrying charge for this condo or other misc mishappens. If you are planning on financing this investment, be sure to speak to a local Manhattan lender that is familiarize with the market, the lending rules, and the mortgage products that may be suitable for you and your son/daughter. Accountant: If you are planning to co-purchase the condo with your child, be sure to discuss the possible tax complication you may have with your accountant. Speak to your accountant prior to your purchase can be very helpful. Manhattan Real Estate Attorney: In addition, speak to a local Real Estate attorney will be helpful as well since the local Manhattan Real Estate can also advise you what is the best way to structure the purchase and think about who/how should take the title of the deed. This entry was posted in Manhattan NY Neighborhoods and tagged Chinese Real Estate Agent, Chinese Speaking Real Estate agent, Foreign buyer, International Buyer on January 14, 2011 by eileenhsu. We as Manhattan Real Estate professionals, we work with many international foreigners wanting to invest in Manhattan Real Estate. In addition to educate foreign buyers about the maze of Manhattan Real Estate market, our specialty is facilitate the purchase to ensure the transaction is smooth and successful. Below are some frequent asked questions by our foreign buyers, the answers are formulated by our team of professionals (tax accountants and attorneys who also specialized in foreigners purchase in Manhattan New York.) These answers are general and not case specific. To best address your specific needs,contact us directly by email or call (646)644-6929. Can Foreign Nationals buy a NYC condo without having Social Security Number or US residency? Yes, they can legally, but have to meet the NYC Condo board’s requirements for approval. At the sale of the real property, Non-resident aliens are subject to federal withholding tax at 10% of the gross sales price, and to a 8.97% New York State estimate income tax on the net sales proceeds (gains). Can Foreign Nationals with work visa or student visa buy Manhattan Properties? Yes, they can legally, but have to meet the condominium/coop board’s requirements for approval. If they remain non-resident aliens at the time of the sale of the real property, they will be subject to the same taxes at the time of sale, as above. If not, what kind of documents should a foreign nationals prepare to be able to buy? In order for a Foreigner to buy NYC condo, they need to have a valid passport and/or other official photo ID for identification purpose. Individual: Individual may be exposed to unlimited personal liability, and to estate issues, for instance, inheritance, will probate and estate administration, when the individual owner dies. LLC: Limited Liability Corporation provides insulation for members from personal liability, but will incur maintenance costs, such as filing fees for its formation, annual franchise tax and is subject to higher formation costs (higher than a corporation). Trust: Trust is an unincorporated entity, cannot hold title by itself; title must be reqistered in the individual trustee’s name. ; the individual trustee may be exposed to unlimited personal liability. S Corporation: S Corporation is a legal entity, insulates shareholders for from personal liability, does not pay income tax itself, the income tax liability is attributed to the shareholders. It is subject to filing fees for incorporation, annual franchise tax, etc. C Corporation: C Corporation is a full fledged legal entity. It provides shareholders insulation from personal liabilities. It is a taxable entity for corporate income tax. Any distribution of after tax profit to shareholders in the form of dividends will be subject to income tax for the shareholder. It incurs maintenance costs, such as filing fees for incorporation, annual franchise tax, etc. Its filing fees are less than that for the LLC. Limited Partnership: the limited partner’s liability is limited to his/her capital interest in the limited partnership, whereas the general partner will be subject to unlimited personal liability. Limited partnership, like general partnership does not pay income tax. The income tax liabilities are attributed to the individual partners. A limited partnership need to file the partnership agreement with the government. *These answers are general and not case specific. To best address to your specific case, contact us directly at (CONTACT US) and we can set up a confidential consultation. If both husband and wife have green cards, will they pay tax similarly as above options? Resident individuals owning real property pay the same taxes, but not subject to the gross 10% federal withholding tax and the 8.97% New York State estimate income tax on the gains at the sale of the real property. Can the Foreigners avoid United States taxes? The taxes cannot be avoided. The non-resident investor must pay the above taxes at the time of closing of the sale, without the tax payments, the deed will not be accepted for recording. After having paid the taxes, the non-resident investor may, but need not, keep the proceeds in the U.S. without additional tax (except income tax on the interest payment on such proceeds). 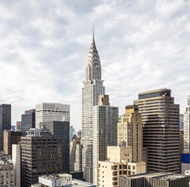 Foreigner Buy NYC Condos-What kind of properties can a foreigner buy in NYC? Foreigner Buy NYC Condos must read. This entry was posted in Central Park - Upper West Side, Featured Property, Fifth Avenue - Midtown East, Financial District - Lower Manhattan, Manhattan NY Neighborhoods and tagged Chinese Real Estate Agent, Chinese Speaking Real Estate agent, Foreign buy NYC condos, Foreign buyer, Foreigner, International Buyer on January 12, 2011 by eileenhsu.